Get the Seven Figure Success System to Build a Big Business! Welcome to the Rock Star Recruiting School! Sarah Robbins is a former educator and one of the world’s leading network marketers. 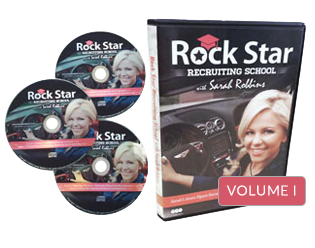 For this series, Sarah is inviting you “back to school” in your network marketing business. She will help you discover her Seven Figure Success System, a simple system to build big business! Sarah’s system will reveal the success strategies essential to building a multi-million dollar business yourself. You’ll discover how to develop an entrepreneur’s mindset, build bigger volume with a large customer and consultant base, master the art of inviting, give powerful presentations, establish simple systems for dynamic duplication, and much more!